Just when you can’t think of any more reasons why Janet Jackson is perfect, 2018 marks her 45th year in show business—you read right, she has been around and entertaining us for almost half a century! 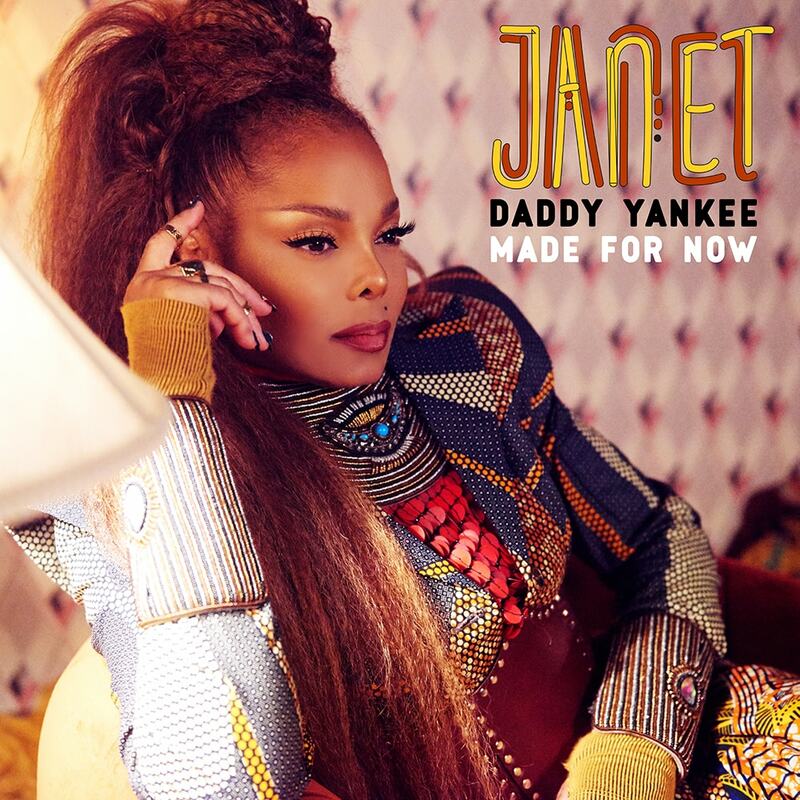 With 11 studio albums under her belt and a new album release underway, we’ve been teased with the first song, “Made for Now,” a collaboration with the King of Reggaetón Daddy Yankee—by none other than the Queen of Pop-R&B herself. It’s been almost three years since her last album release and now we wait in agony for the news of her new album, which she has been keeping it on the hush. “Made for Now” may be the song that’s going to close out the summer with a bang, and that’s because it’s screaming “music icon royalty” all over it. As we’re counting down the days until Queen Janet’s new album, let’s take a moment to commemorate the first-single release off her album today and show our girl Janet why #WeLoveJanet. 25. #PoeticJustice Thank you ? Let’s face it—Janet is not only a pop icon, but she’s also a style icon. Her fashion choices matches her risqué music persona. Her looks from Poetic Justice—particularly her box braids (‘memba those? )—and her many, many daring outfits in her music videos and public appearances from the ’90s have become so iconic that more often than not, celebrities pay homage to their favorite Jackson sister and have greatly influenced styles today. When millions of fans are still inspired by your style from almost 30 years ago, you are #winning. It’s no secret that Janet has gone through some misfortunes over the years, from the infamous 2004 Super Bowl incident, to losing her brother Michael, and her father Joe in June. During the opening show to kick-off the second leg of her State of the World Tour (just one week after the death of her father), Jackson revealed that she contemplated on canceling the rest of the tour. But as her father said, “Finish what you’ve started,” and so she is continuing to tour, which concludes in October. Don’t forget to tune into the live stream of Janet headlining the Global Citizen Festival in New York City with our Artist of the Month Shawn Mendes, Cardi B, Janelle Monáe, and The Weeknd on September 29! This past May, Janet accepted the prestigious ICON award, becoming the first black woman to achieve the honor and rightfully so. Her acceptance speech was a tribute to powerful women making strides to take a stand against harassment and discrimination and taking charge of their independence, a force that Janet is all too familiar with. And, of course, she couldn’t have topped that speech without performing a trio of her songs that center around feminism: “Nasty,” If,” and “Throb”. Janet is proof that if you want to be a mother badly enough, age is just a number. She has said that multiple doctors have told her the chances of her conceiving “wasn’t possible,” due to women her age generally having trouble conceiving naturally. At age 50, she gave birth to her first child, Eissa Al Mana, who is now a year old. She is holding it down as a working single who’s still writing and creating new music and going on a world tour, and this is why #WeLoveJanet! Tell us why you love Janet in the comment section below, or tweet at us, using #WeLoveJanet!